“That’s like somebody saying I can’t play ball. That doesn’t bother me at all. What bothers me is that he has time to even do that. He has the most powerful job in the world. Like, you really got this much time that you can comment on me?” — LeBron James on Trump insulting his intelligence. "In the last midterm, voters didn't believe the threat of health care repeal was real. Now, if you ask a Republican why they voted for health care repeal, they'll change the topic faster than you can blink your eyes. They're like the crew of the Titanic trying to talk about the nice weather they're having after the ship already hit the iceberg and was taking on water." -- Democratic strategist Jesse Ferguson. “You know, I met a Holocaust survivor in Long Beach. He survived concentration camps, and he said this was worse. He’s 90 years old and he had to wait four hours down in Long Beach. Can you imagine that?” — California gubernatorial candidate John Cox (R), comparing long lines at the Sacramento DMV office to the Holocaust. “He was hired by Jeff Sessions. I was not involved in that process because, you know, they go out and get their own deputies and the people that work in the department.” — Trump, quoted by Fox News, talking about Deputy Attorney General Rod Rosenstein. Brett Kavanaugh must also be asked about this entry in his yearbook: "FFFFFFFourth of July." We believe that this stands for: Find them, French them, Feel them, Finger them, F*** them, Forget them. As well as the term "Devil's Triangle." 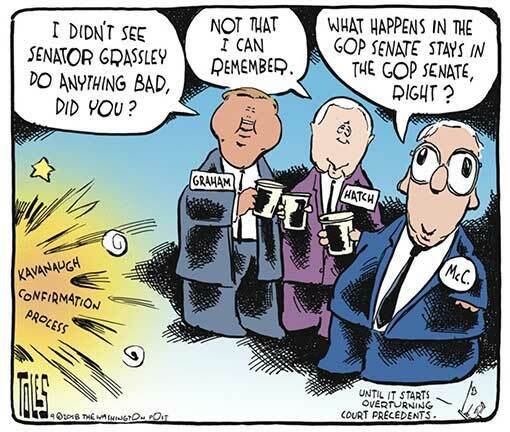 Perhaps Sen. Grassley can ask him. #Basta -- Michael Avenatti on Twitter. The Republican Party officially filed for moral bankruptcy on Tuesday morning, a move that many in the nation considered long overdue. Further complicating such a sale, Dorrinson said, is the fact that the lion’s share of the Republican Party is already owned by the National Rifle Association, Koch Industries, and the Russian government. While bemoaning the demise of a once legitimate political party, Dorrinson did see one silver lining. “The bankruptcy of the Republican Party will be presided over by Donald Trump, and no one has more experience in this area,” he said. The U.S. government does not have the resources to deport every undocumented immigrant in the United States. America only has so many deportation judges, detention beds, and ICE agents. Thus, federal authorities must set priorities for immigration enforcement. In the final years of the Obama administration, ICE prioritized the removal of undocumented people suspected of involvement in serious crimes; under the Trump administration, the agency is, ostensibly, prioritizing the deportation of immigrants who volunteer to look after migrant children stranded in the U.S. without a guardian. 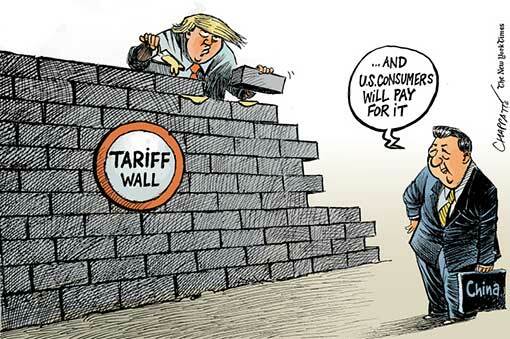 President Trump’s trade battles are already triggering economic warnings — and rising danger for Republicans just ahead of the midterm elections.. Dozens of students dressed in black staged a sit-in at Yale Law School on Monday to protest the nomination of Judge Brett Kavanaugh to the Supreme Court and demand an investigation into sexual misconduct allegations against him. David Brill, an Arizona Democrat going after Republican Rep. Paul Gosar’s seat in Congress, released a campaign ad attacking Gosar’s character, morals and politics while urging Arizona residents to vote him out. The videos star none other than six of Gosar’s siblings ― David, Gaston, Grace, Jennifer, Joan and Tim ― who are all endorsing their brother’s opponent. “The president said he is not in favor of statehood for the people of Puerto Rico based on a personal feud with a local mayor. This is an insensitive, disrespectful comment to over 3 million Americans who live in the U.S. territory of Puerto Rico. -- Gov. Ricardo Rossello, an advocate of statehood for the island, saying that Trump’s remarks had trivialized the statehood process because of political differences. Our government continues to exist, because this week the Senate passed a spending bill that would keep the government open until December. 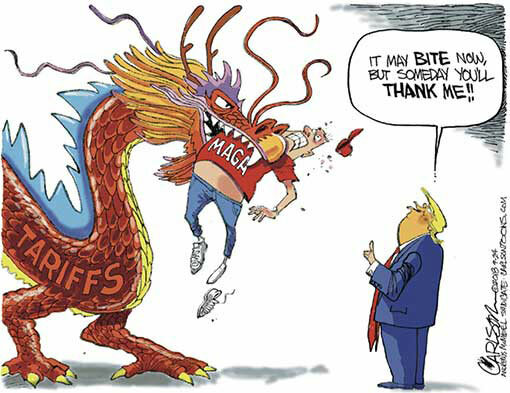 But no one is sure if Trump will sign it, especially since he tweeted, "I want to know where is the money for border security and the wall in this ridiculous spending bill, and where will it come from after the midterms?" I am going to guess: not from Mexico? Trump seems to think that walls are the solution to every problem because Spain's foreign minister just revealed that Trump urged him to build a wall across the Sahara. The Sahara Desert, the largest desert in the world. You can't construct a wall in the desert. Building something on sand is literally the metaphor for instability. After you build the wall on sand, you can make yourself a beautiful "House of Cards" to live in. Does our president really think people who trudge through 1,000 miles of the most brutal desert on the planet will go, "Wait, there's a wall. Darn it, OK. Then let's go back." The Texas Board of Education has voted to remove a lot of famous Americans from their curriculum, including Hillary Clinton, Helen Keller, Eleanor Roosevelt, feminist Betty Friedan, and the father of modern conservativism, Barry Goldwater. Great, now kids will have to learn about Barry Goldwater like I did — in the streets, passing around dog-eared old copies of the "National Review" they found buried in the woods. In his address to the U.N., Trump discussed the greatest threats to the peace and stability of the world. So, like most of his speeches, it was all about himself. The White House is still reeling from a bombshell report from The New York Times. The article revealed that Deputy Attorney General Rod once floated the idea of secretly recording conversations with the president by wearing a wire. A wire? If you want to catch Trump saying something incriminating you don't need a wire. Just look at his Twitter feed! First, Trump's personal lawyer secretly taped him. Then, Omarosa taped him in the White House. Now look, I'm no political expert, but it's probably a bad sign when literally everyone you work with is like, "Oh man, I gotta record this. No one will believe me!" Trump's Supreme Court nominee Brett Kavanaugh is pushing back on sexual assault allegations. According to The New York Times, his defense will include a high school calendar from 1982 that does not list the party where the alleged incident took place. But this should clear everything up, because I know when I plan to commit a crime, I always write "committing a crime" on my calendar. The midterm campaigns are heating up. Arizona Republican Congressman Paul Gosar is having some problems with his campaign after an ad aired featuring six people endorsing his opponent. And those six people are all Paul Gosar's brothers and sisters. And you thought YOUR Thanksgiving dinner was going to be awkward this year. "Can you pass the sweet potatoes?" "No. Can you pass healthcare for everybody?" A second woman has come forward to accuse Supreme Court nominee Brett Kavanaugh of sexual misconduct. 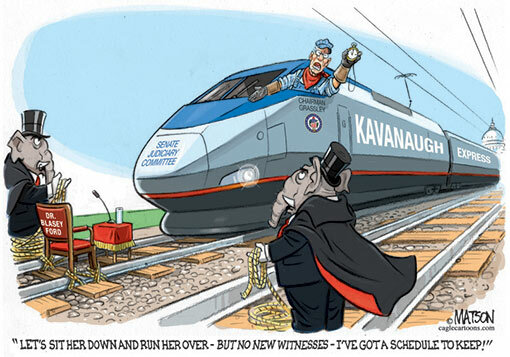 For those of you keeping track, 13 more and Kavanaugh can run for president. There's a rumor that Assistant Attorney General Rod Rosenstein wants to declare President Trump unfit for office. 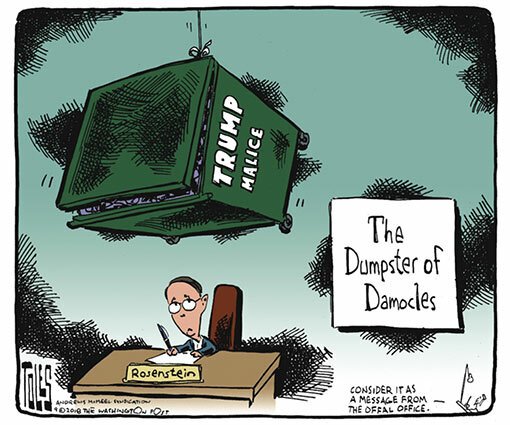 Right now all Rosenstein has to go on is everything Trump has said or done for the past two years. Documents reviewed by BuzzFeed News show that $3.3 million began moving on June 3 between two of the men who orchestrated the infamous Trump Tower meeting during the 2016 presidential campaign: Aras Agalarov, a billionaire real estate developer close to both Vladimir Putin and President Trump, and Irakly “Ike” Kaveladze, a longtime Agalarov employee once investigated for money laundering. Associated Press: “While Election Day 2018 is technically Nov. 6, Minnesota law allows in-person voting to begin Friday — a full 46 days early — making it the first battleground state to begin casting actual votes in the broader fight for control of Congress. Voters in every corner of the nation will soon follow. South Dakota also opens early voting on Friday, and four more states follow in the next six days, including key states including New Jersey and Missouri. In a 50-50 nation, marginal defections can incapacitate a party. Secretary of Housing and Urban Development Ben Carson said that a long-running plot by Socialists to take over America was fueling recent allegations of sexual assault against President Trump’s nominee to the Supreme Court. The Republican Party’s fight to save President Trump’s embattled Supreme Court nominee amid allegations of sexual assault has surfaced deep anxieties over the hyper-masculine mind-set that has come to define the GOP in the nation’s roiling gender debate. The images are striking: The specter of Republicans on the Senate Judiciary Committee — all 11 of them men — questioning federal Judge Brett A. Kavanaugh’s female accuser. A senior GOP aide working on the confirmation resigning amid his own sexual harassment allegations. A viral photo of "women for Kavanaugh" featuring more men than women. A South Carolina Republican congressman making a crude joke about Justice Ruth Bader Ginsburg being groped by former president Abraham Lincoln. A federal court ruled that Commerce Secretary Wilbur Ross must provide, for the first time in 19 years, a deposition in a civil case. Boosted by growing support among suburban women and widespread antipathy toward Donald Trump, Democrats approach the midterm election poised to make major gains nationwide, a new USC Dornsife/Los Angeles Times Poll shows. 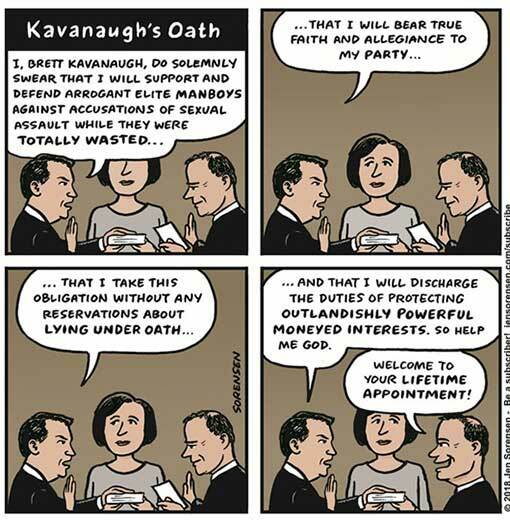 That Kavanaugh is the victim of mistaken identity was the implausible theory put forward by Ed Whelan, president of the Ethics and Public Policy Center in Washington. On Thursday night he posted (and now has deleted) a long series of tweets, complete with links to Zillow and Google Maps, arguing that Ford had indeed been assaulted — but by a friend of Kavanaugh’s who looked a lot like him. And then he proceeded to name the friend and post his picture. 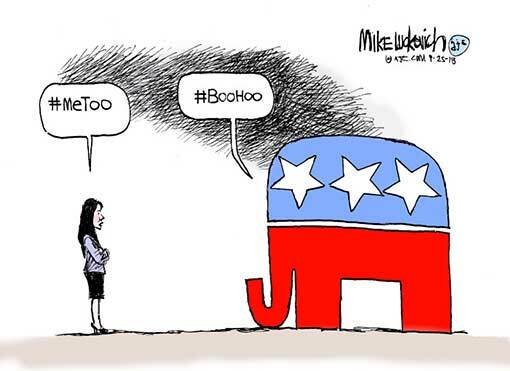 In the long annals of American politics, a lot of people have done a lot of irresponsible things, but for sheer callousness and craziness it’s hard to top an accusation of sexual assault against a specific individual based on, essentially, nothing. 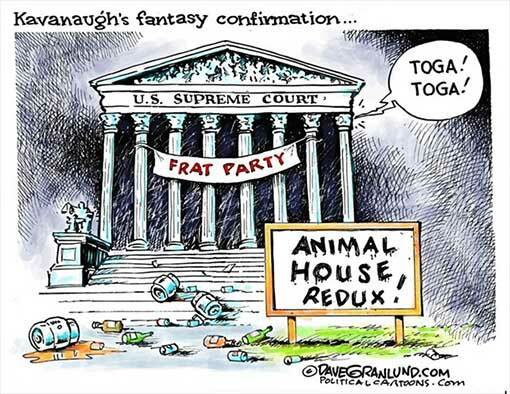 This is McCarthyism redux — and if Kavanaugh is revealed to have any connection to the propagation of this loathsome falsehood, he should be voted down overwhelmingly by the Senate.t tells you how far the right has descended into madness that this vile accusation did not come from an anonymous blogger on some online bulletin board or from professional conspiracy theorist Alex Jones. It came from someone with sterling establishment credentials. 3. T.A. Frank: The Ocasio-Cortez vs. Cynthia Nixon Paradox: Can Democrats Overcome Their Political Schizophrenia By November? Polarization makes a lot of decisions easier, because all you have to do is pick a team and follow the rules. That’s true in matters of both culture and politics, and every week seems to reveal yet more personalities, once lively and independent, who’ve joined the ranks of the pod people. But if, on some fronts, we’re more predictable than ever, on others we’re somehow less predictable than ever. For all the polling and analysis—and this week it’s over the confirmation of Supreme Court nominee Brett Kavanaugh—we’re still mystified by the public mood. What do Americans really want or care about? We seem to have barely a clue. All of this guarantees that the 2020 race will be an amazing spectacle, as each candidate tests out a different formula for the age. We’re likely to see not only perpetual campaigners Elizabeth Warren, Kamala Harris, and Cory Booker, but also Bernie Sanders, Joe Biden, and lesser-known governors. Spicing things up could be Michael Avenatti, a Hyde-like celebrity composed of Resistance id, and Jamie Dimon, the financier, who seems to think that the sycophancy that surrounds him represents a meter reading of public sentiment. One can only hope that Michael Bloomberg also joins the mix, as is now rumored. At least a few will unleash the Jeb Effect—what is seen when someone of high societal status requests public support, and instead harvests every available humiliation. But whose formula turns out to be least wrong, we cannot remotely say. 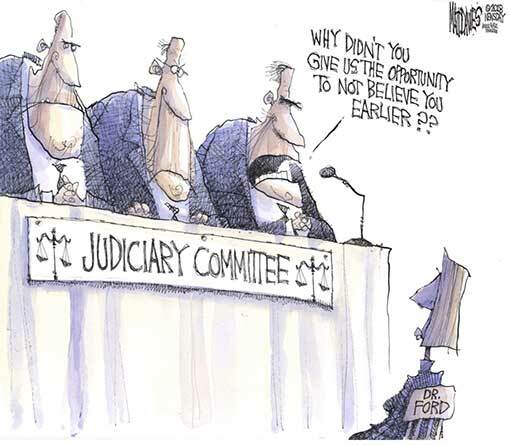 As that same committee, on which sit some of the same members as nearly three decades ago, now moves forward with the Kavanaugh confirmation proceedings, the integrity of the court, the country’s commitment to addressing sexual violence as a matter of public interest, and the lives of the two principal witnesses who will be testifying hang in the balance. Today, the public expects better from our government than we got in 1991, when our representatives performed in ways that gave employers permission to mishandle workplace harassment complaints throughout the following decades. 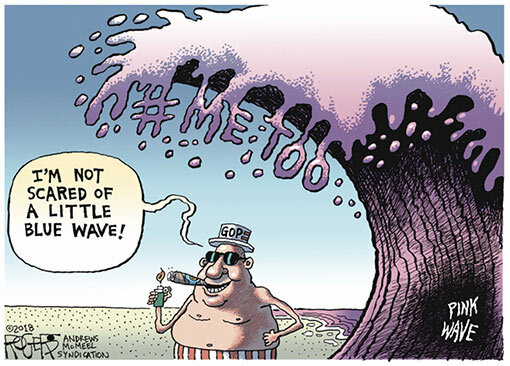 That the Senate Judiciary Committee still lacks a protocol for vetting sexual harassment and assault claims that surface during a confirmation hearing suggests that the committee has learned little from the Thomas hearing, much less the more recent #MeToo movement. By a 2-to-1 margin — 61 percent to 30 percent — respondents said the law benefits “large corporations and rich Americans” over “middle class families,” according to the survey, which was completed on Sept. 2 by the GOP firm Public Opinion Strategies and obtained by Bloomberg News. The result was fueled by self-identified independent voters who said by a 36-point margin that large corporations and rich Americans benefit more from the tax law — a result that was even more lopsided among Democrats. Republican voters said by a 38-point margin that the middle class benefits more. The reality is not in dispute. Around two-thirds of the benefits of the tax cuts went to those in the top quintile of taxpayers, with about 20 percent of the benefits going to the richest 1 percent. By 2025, when the cuts are fully phased in, the top 1 percent will get 25 percent of the benefits. (See details here.) The centerpiece of the plan, furthermore, was a gigantic corporate tax cut. Republicans promised that this cut would produce a wave of investment and wage increases for workers, but so far the only wave that has resulted is a tsunami of stock buybacks benefiting wealthy shareholders, which is exactly what liberals predicted. If you’re going to pass a huge tax cut whose benefits go mostly to corporations and the wealthy, it would seem almost inevitable that it won’t be popular. 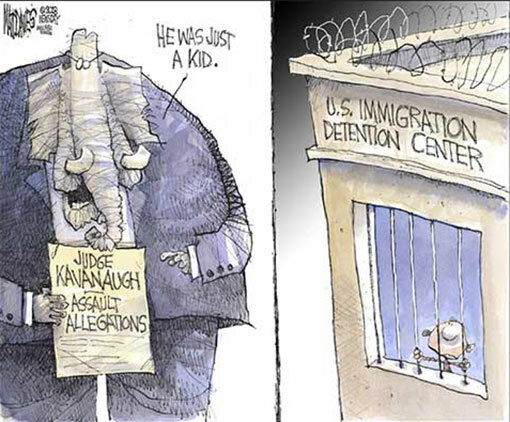 But Republicans were so convinced of the righteousness of their cause that they convinced themselves that the public would simply have to agree with them. Even though it didn’t work out that way, don’t think Republicans have any regrets. 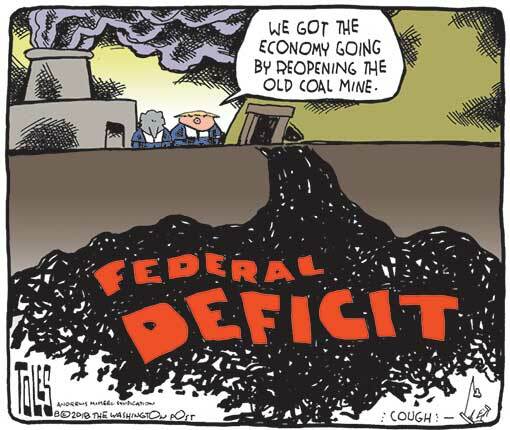 They knew that if they did nothing else in the first two years of Trump’s presidency, they would cut taxes. Having accomplished that goal, many of them, like House Speaker Paul D. Ryan (R-Wis.), are saying their work is done and leaving Congress. National security adviser John Bolton issued a searing condemnation this week of the International Criminal Court. Not only did he declare that the U.S. government would refuse to cooperate with it, but — extraordinarily — he also threatened its leadership and those working with it. He was responding to an announcement made late last year by ICC prosecutor Fatou Bensouda, who filed a request with the court’s judges to authorize her to investigate the United States’ actions in Afghanistan 15 years ago, along with actions of the Taliban and Afghan national security forces. Bolton — and many others — argue that such an investigation would threaten our service members and our ability to prosecute our war on al-Qaeda, the Islamic State and other terrorist groups. That view couldn’t be more wrong. In fact, this is the perfect opportunity to use the court to strengthen our fight against terrorists as well as our overall national security. And we can do this while still protecting our national sovereignty and military and intelligence personnel. International law protects not only noncombatants, but also our own military forces. We, the United States, helped strengthen it after World War II and the Vietnam War. Even in the 1990s we participated in outlawing blinding laser weapons and torture. During the Yugoslav wars, we saw how fear of prosecution deterred even more hideous war crimes, and how the indictment of Serbian President Slobodan Milosevic by the International Criminal Tribunal for the former Yugoslavia in 1999 was one of the decisive blows ending the conflict in Kosovo. I know, because I was part of this effort. As Brett Kavanaugh’s nomination to the Supreme Court approaches a dramatic finale, public attention is rightly focussed on Christine Blasey Ford’s allegation that he sexually assaulted her at a high-school party. The idea that members of the “law-and-order party” would appoint someone to the highest court in the land while he is facing an accusation of this nature, and before it has been fully investigated, is outrageous. And what’s doubly outrageous is that such special treatment should be afforded to a man whose entire life is testimony to the enduring advantages of America’s social élite. 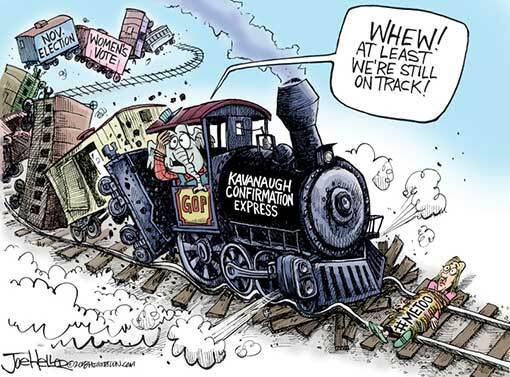 The Supreme Court is in trouble. And the issues are much larger than the mess of Brett Kavanaugh’s confirmation. Absent some kind of course correction, the court risks a crisis of legitimacy. There are two fundamental problems. 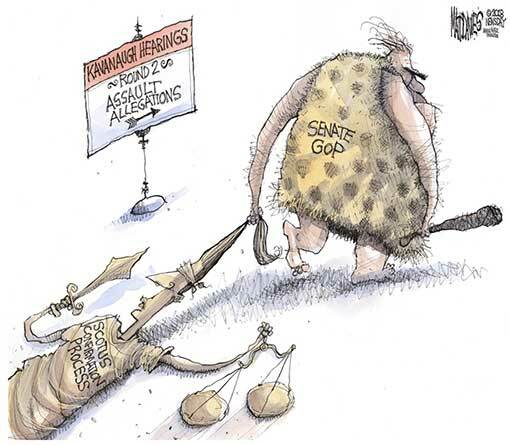 The first is that the court has become an intensely partisan institution that pretends otherwise. 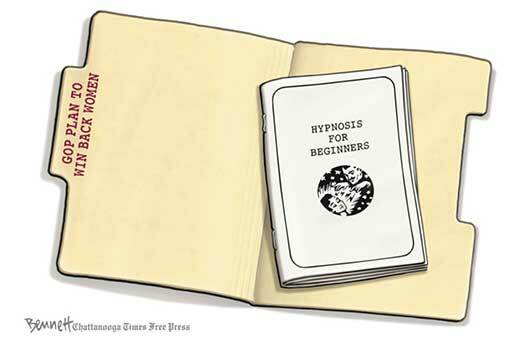 The founders envisioned the justices as legal sages, free from the political scrum. They receive lifetime appointments to protect their independence. The justices themselves cherish this image. 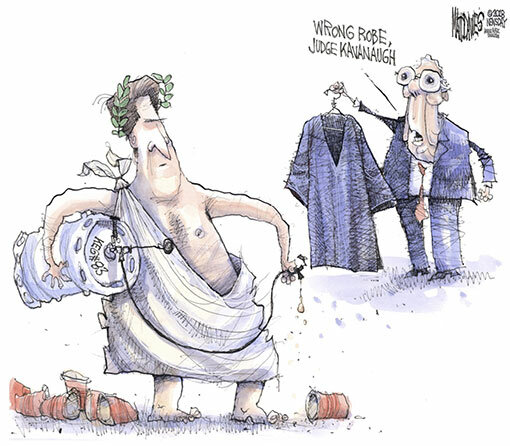 John Roberts, the chief justice, has famously equated himself with an umpire who merely calls balls and strikes. The comparison is meant to suggest that justices don’t have their own opinions: They just follow the law. But this is laughable. In almost every major decision last term — and many others over the past decade — the justices divided neatly along partisan lines. 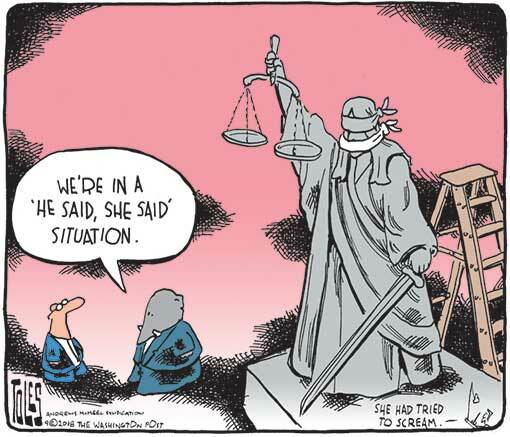 The five justices chosen by a Republican president voted one way, and the four chosen by a Democrat voted the other. If the justices are umpires, it sure is strange that Republican and Democratic umpires use vastly different strike zones. This partisanship has turned each court vacancy into a pitched battle. 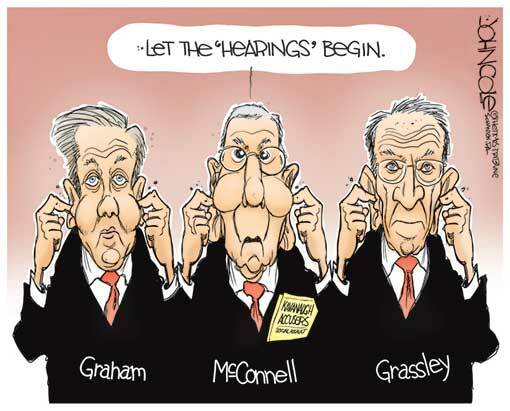 It’s why Republican senators took the extreme step of denying Barack Obama the ability to fill a seat. It’s why the Kavanaugh fight feels so momentous. It’s why liberals care so much about Ruth Bader Ginsburg’s health. The second major threat to the court comes from the radicalness of Republican-appointed justices. It’s true that the Democratic-appointed justices are more reliably liberal than in the past. There are no more conservatives like Byron White (a John Kennedy appointee) or Felix Frankfurter (a Franklin Roosevelt appointee). 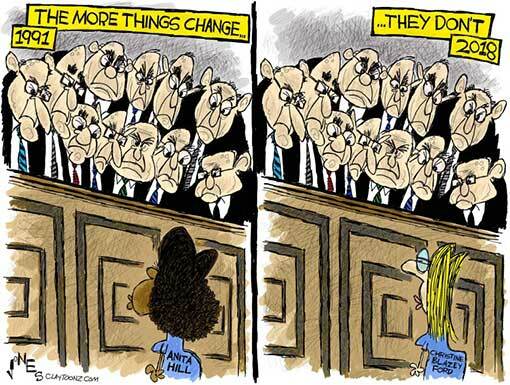 But the court’s Democrats still range from moderate to progressive. Stephen Breyer is only somewhat to the left of White and well to the right of Sonia Sotomayor, academic analysis shows. Merrick Garland, Obama’s jilted nominee, was also a moderate. It should be astonishing that the president could and would order an end to the investigation of his activities. During normal times, that would be a signal to Congress to step forward and exercise its check-and-balance role on the White House, either through impeachment or some other method. The Republican-held House and Senate, however, have long since demonstrated their disinterest in restraining Trump.Which means that if Mueller is sidelined, it will fall to voters in November — and whether they choose to replace those GOP majorities — to make the ultimate decision about Trump's fate. There are those who will argue that Rosenstein's exit would amount to the Trump administration's version of the "Saturday Night Massacre," when Richard Nixon tried to undermine the Watergate investigation by firing a special prosecutor, only to cause the attorney general and deputy attorney general to resign. f it occurred to Trump that this line of attack would by association drag his Supreme Court nominee down into the misogynistic muck in which he has spent so much of his own life, it did not deter him. Neither of the possible explanations for this outburst is very comforting. The first is that he literally can’t stop himself from going off message and personally attacking those who would dare mess up his plans to reward the Christian right and the conservative legal movement with this Supreme Court nomination. 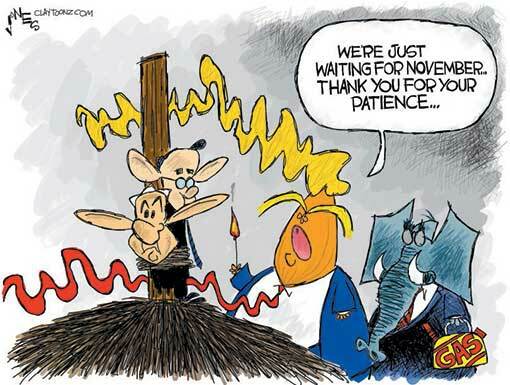 The second is that the administration and the GOP have decided to join conservative activists and media in turning Kavanaugh’s confirmation into a holy war designed to inflame the conversation and energize conservative base voters now and in November.